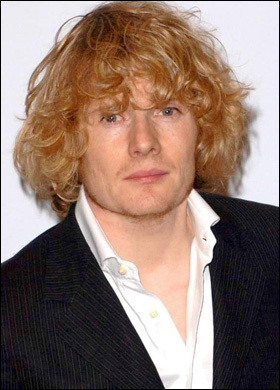 GREEN Wing star Julian Rhind-Tutt had serious doubts about starring in the new BBC adaptation of Oliver Twist. There have been more than fifty version made for stage and screen in the past and the actor wasn’t sure whether a new version would be any good. "I was slightly sceptical," he admitted. "You never know if anything is going to be any good, and I am old, jaded, cynical and bitter." But the script – written by ex-EastEnders writer Sarah Phelps – was of enough quality to, ahem, Twist Julian's arm. He added: "I think she's managed to extract the tightest, sharpest, fast-moving screen adaptation. "I have been in some terribly-written programmes, but was amazed by this script." The 39-year-old portrayed Mr Brownlow's grandson Mr Monks, who wants to get rid of Oliver in order to maximise his own inheritance. Julian loved playing a nasty character and became a little vain in preparation for the role. He said: "It was brilliant. I've not really done that before, so I practised my evil looks in the mirror."